We have been providing quality eye care to Morrisville, Yardley and the surrounding areas in Lower Bucks County, Pennsylvania, for over 30 years and have been in our present location in the Gaslight Village Shopping Center since 2001. 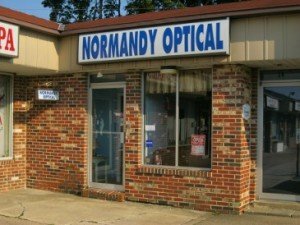 At Normandy Optical, you will receive a thorough eye exam and be able to choose from a wide selection of eyeglass frames and the best in lens options. We want to ensure that you look and see your best — all at a reasonable price. When you come to Normandy Optical, our goal is to treat you like family. Purchase one of our current frames of the month and let us know you saw it here, and you’ll receive an additional 10% off! Visit our complete frame gallery. Read more to learn how you can see clearer sooner.